Fighting Ottawa and leading the province leaves Rachel Notley little time for culinary adventures. But the mother of two still rolls out her can’t-miss salad recipe every three weeks. 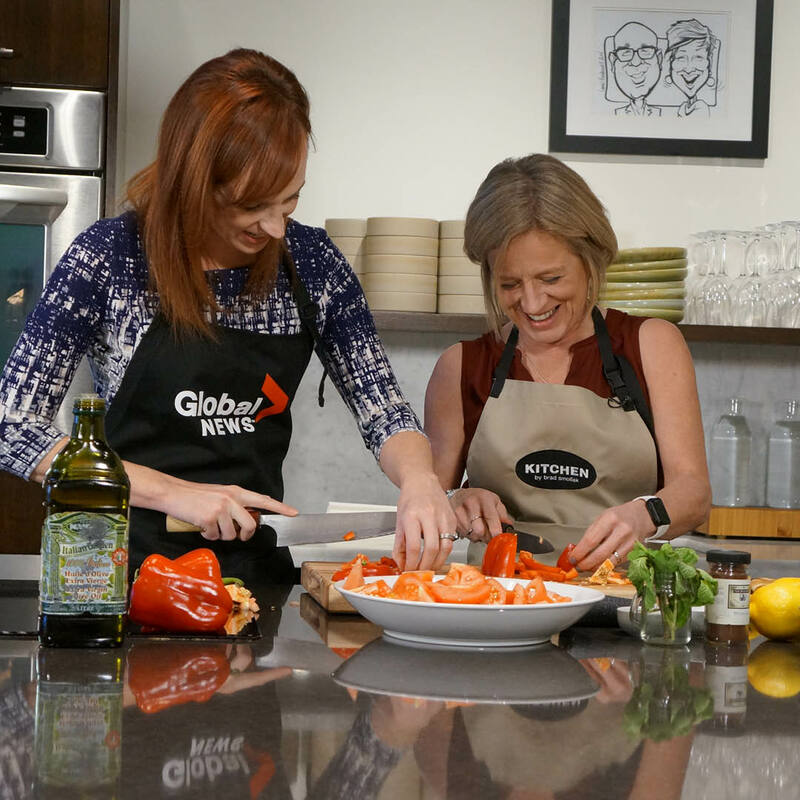 Notley showcased her recipe during a recent TV segment, Global News Kitchen Party. Notley inherited the dressing recipe from her mother-in-law, a firm believer in the culinary dream team known as garlic, lemon and salt. The dressing for the salad is made by mincing four garlic cloves in a pestle and mortar with salt and pepper, then adding the juice of one lemon and a splash of olive oil. The salad itself includes three chopped tomatoes, one red pepper, some mint leaves, a cucumber and lettuce. Topped with two toasted pitas and a sprinkle of sumac, the salad is ready to be mixed. With the hectic lifestyle of leading the province, Notley told Crosby there is little time is left over for the activities that used to love. She still is an avid runner, and she’s carefully guarded family movie nights. Every Sunday night, she puts down her phone to enjoy a movie with her husband and two kids, Ethan and Sophie. But when it’s time for her “kinda fattoush,” Notley is ready.